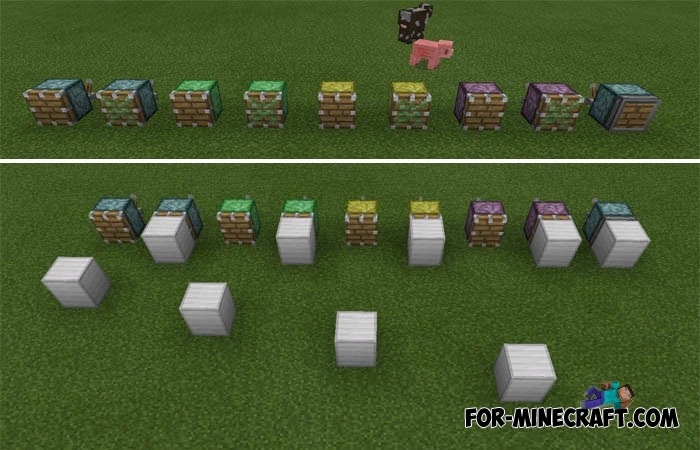 This is a useful mod for redstone mechanisms that adds 9 new pistons to Minecraft PE. Surely you know how this block works, but if not then here is a brief description: the piston pushes forward the block that is directly in front of it. Also there is a sticky piston, but its work is similar to the usual one. So the mod adds pistons with different piston strokes. That is, one piston pushes the block 2 blocks ahead, and the second one for three and so on. 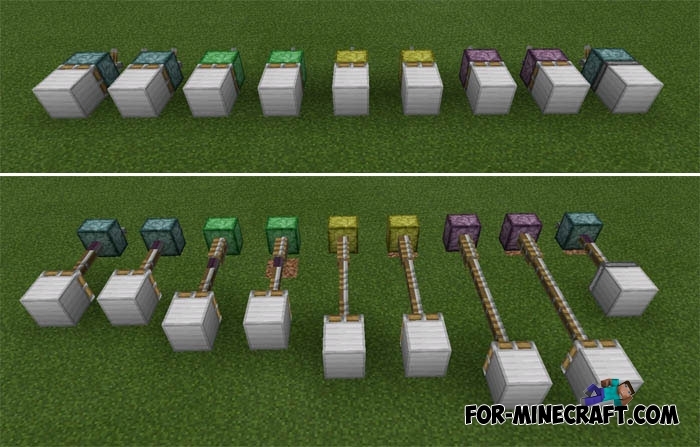 This will help some builders in the design of chains of redstone mechanisms. Below you can see at what distance the piston can push the block. In fact, the mod was developed for MCPE 1.0 and still supports 1.2. How to install the More Pistons mod? Download the mod and open BlockLauncher. Run BL -> ModPE -> activate .modpkg.